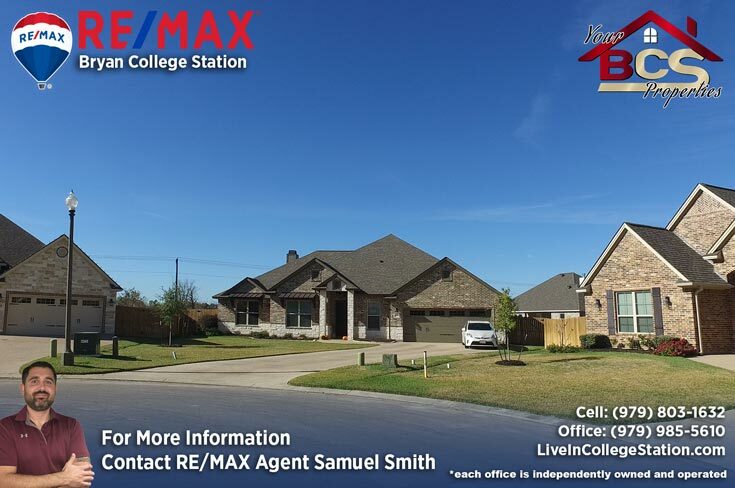 Greenbrier’s central East-Bryan location is perfectly positioned for family life. 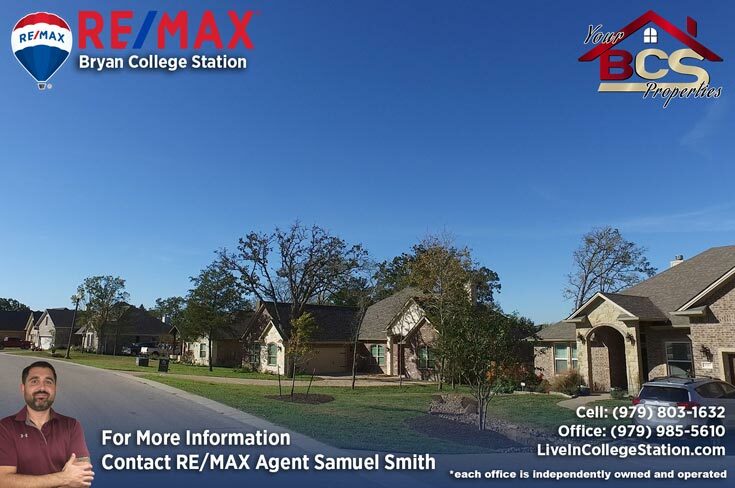 Public schools are within biking distance. 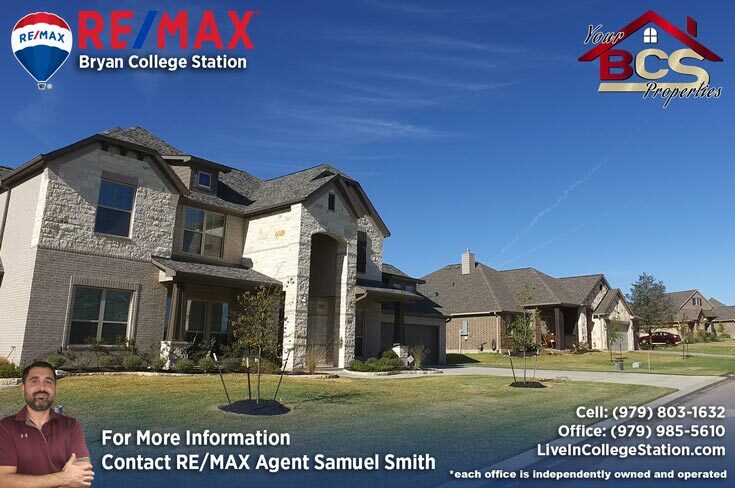 Restaurants, shopping and entertainment are all just around the corner. 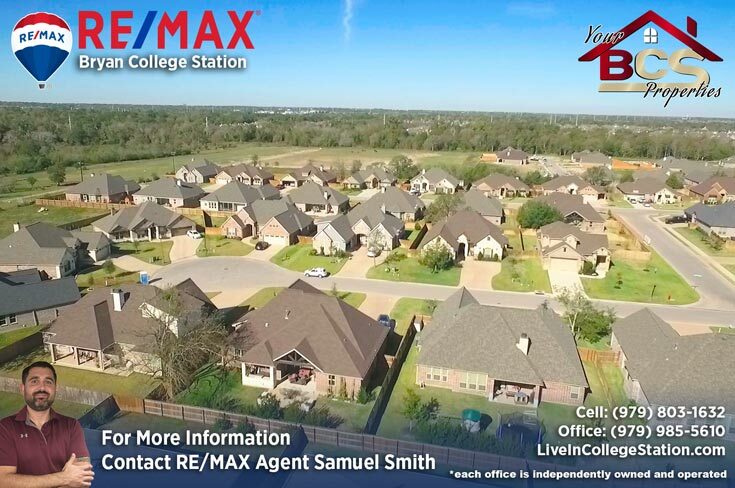 This is a newer neighborhood with homes still being built and lots available, eventually connecting, Stonebrier and Austin’s Colony both through the backstreets. 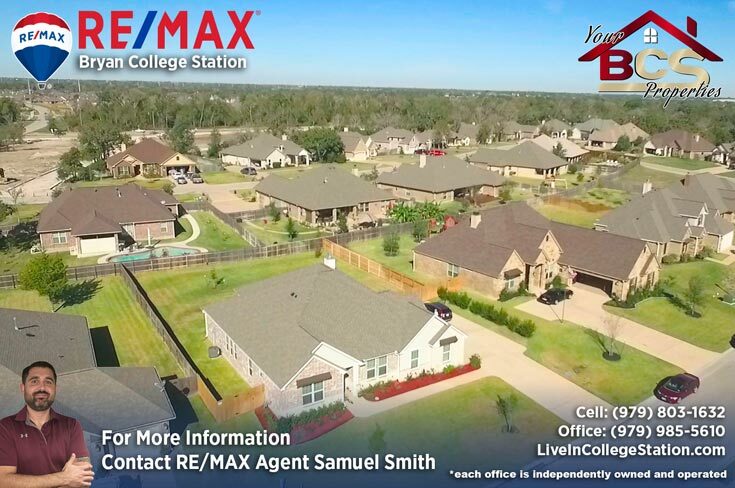 Greenbrier is located at FM 1179 and Thornberry Dr., for the discerning family, the award-winning private school, Allen Academy and Miramont Country Club & Golf Course are only a two-minute drive. 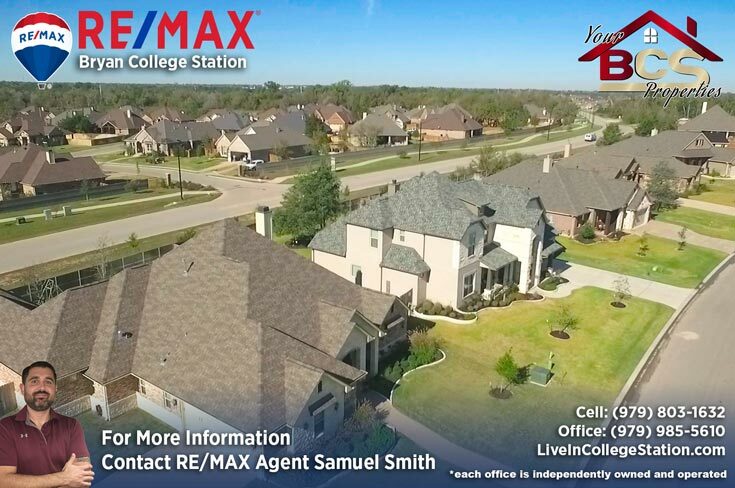 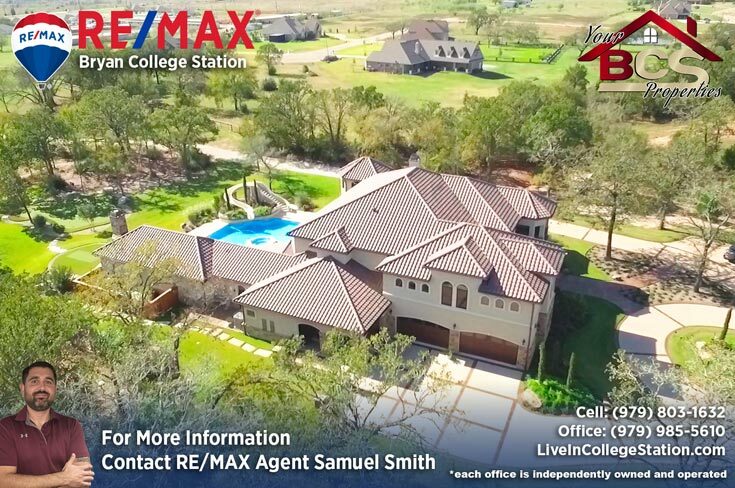 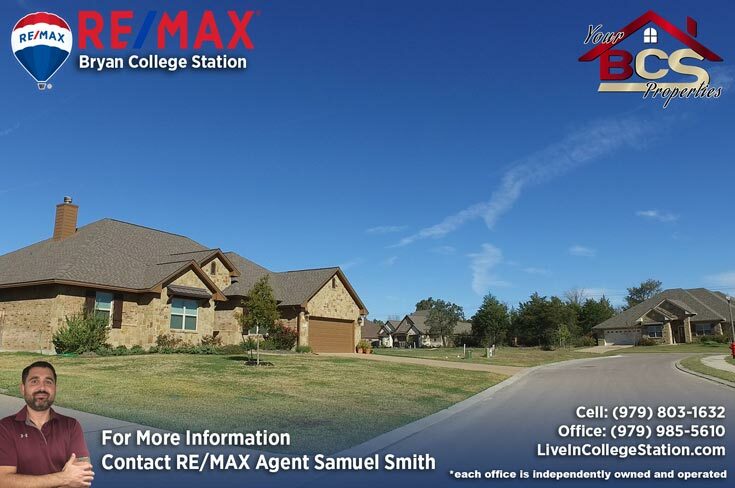 For your free, no obligation home valuation and more information on properties in Greenbrier, contact Your Bryan and College Station REALTOR® Samuel Smith a RE/MAX agent. 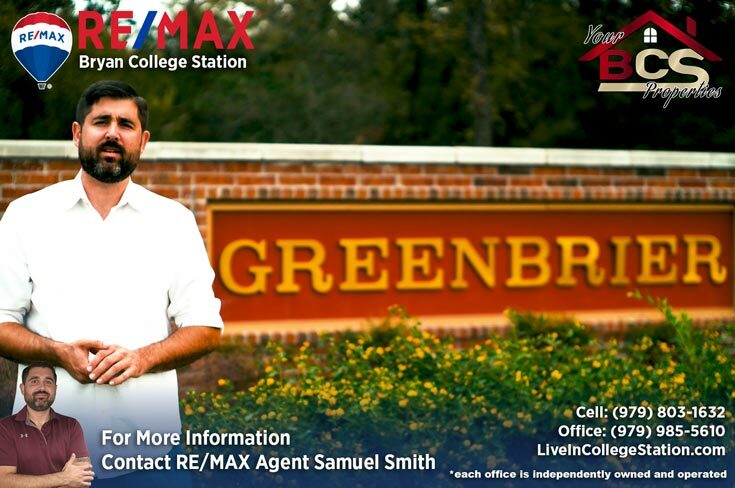 REALTOR® Samuel Smith a RE/MAX agent presents present Greenbrier.